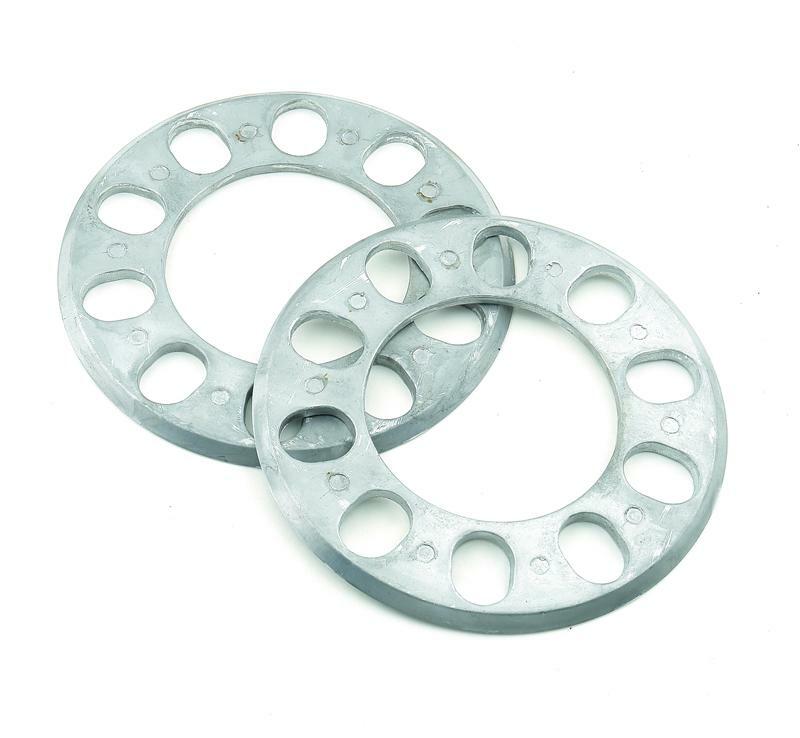 Constructed from die-cast aluminum, wheel spacers provide the necessary clearance for custom wheel applications. Come in a set of two. 1/4”, 5/16”, 7/16” or 7/32” thick, 5 lug with 4-1/2 in thru 5 in spacing. Note: Longer studs maybe required. Do not use on trucks, RV’s, station wagons, off road vehicles, or trailers.